Common in mesic forests, cove forests in the mountains to at least 1500m in elevation, bottomland forests and swamps. Coastal Plain Tulip-tree, Southern Yellow Poplar; uncommon in blackwater swamps, streamhead pocosins in the fall-line sandhills (Weakley 2015). Common throughout NC. 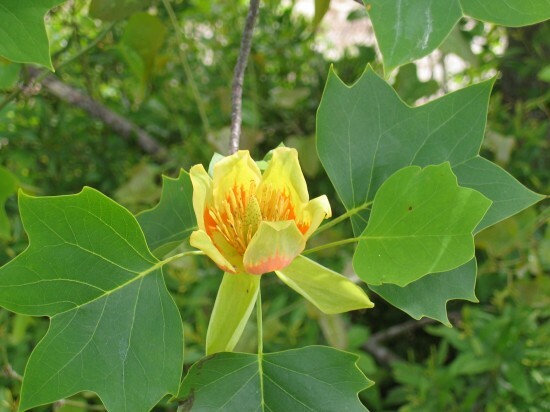 The tulip tree is one of the largest of the native trees of the eastern United States, known to reach the height of 190 feet (58 m), with a trunk 10 feet (3 m) in diameter. Despite the common names, it is closely related to Magnolias and is not in the Populus genus. Branch with persistent, scaly, cone-like fruit in background of photo. The pale brown, persistent fruits are a good identification mark in winter. 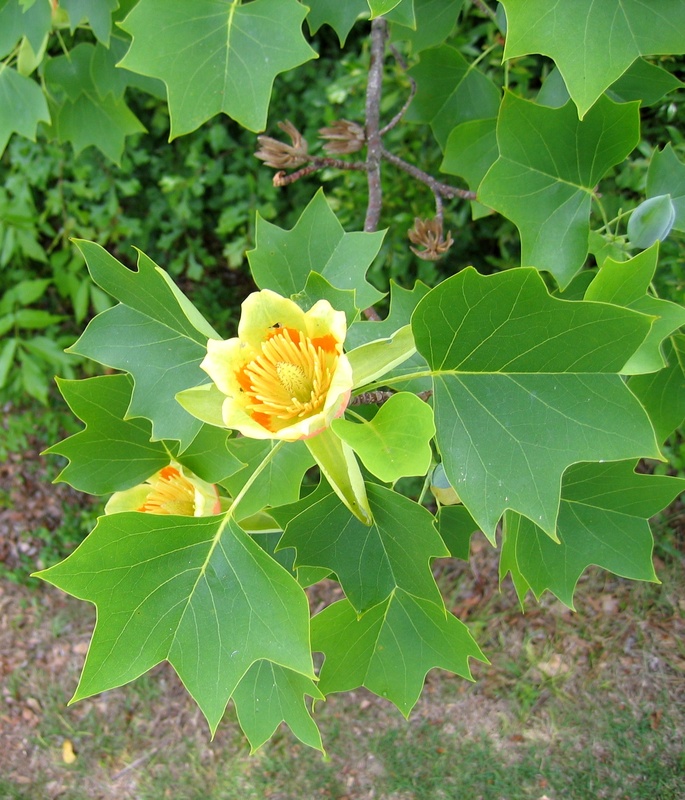 Note the distinctive shape of the leaf. 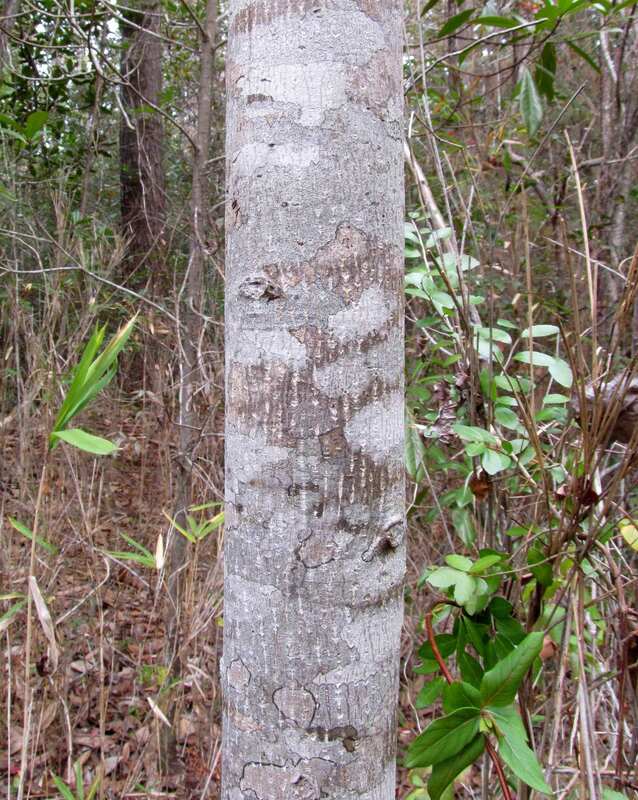 The tall, straight, light-colored trunk is a good ID mark. 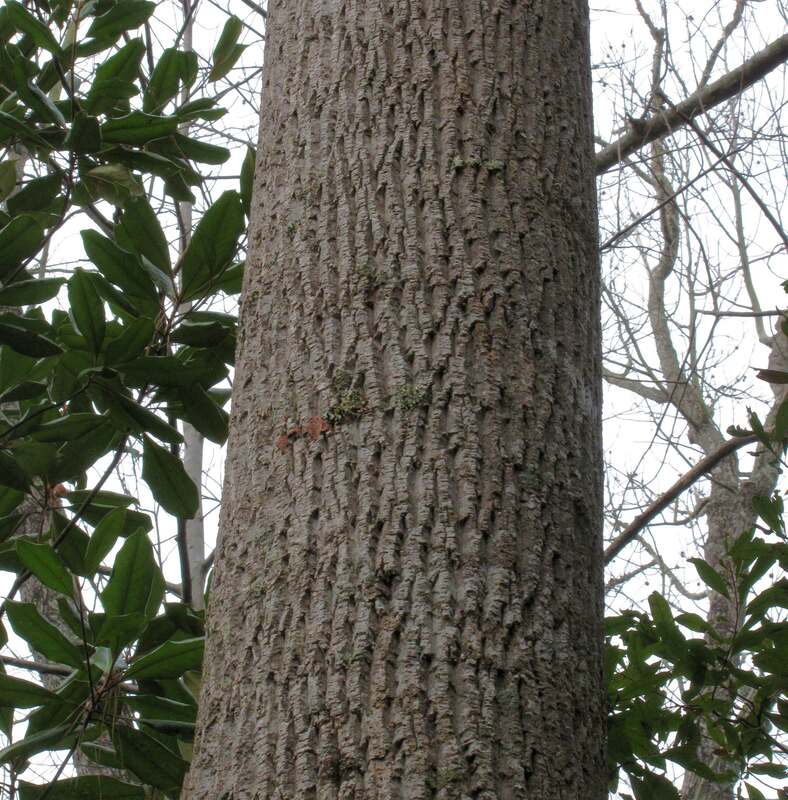 Older bark has flat-topped ridges and whitish valleys. The lumber is used for furniture and veneer because of its strength, porosity, and light weight.